Stone sinkers dated to 29,000 years ago are evidence of ancient fishing technology—but some archaeologists have doubts. In northeastern South Korea, archaeologists from the Yonsei University Museum unearthed what they claim are Paleolithic net sinkers—the earliest-known examples of the fishing technology, which, if confirmed, would push back the first-known use of fishing nets by roughly 19,000 years. 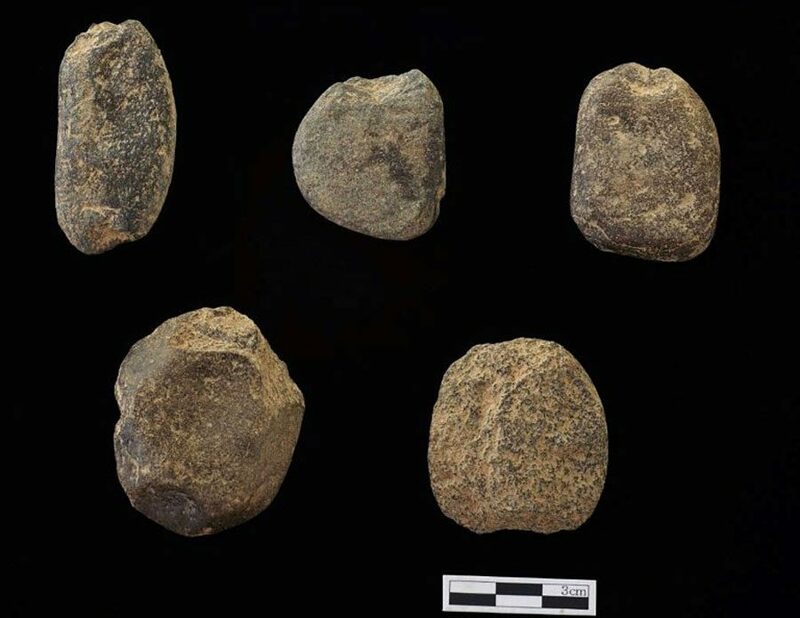 The 14 stone sinkers were discovered in the Maedun Cave along the coast of the East Sea by a team led by Han Chang-gyun, the director of the Yonsei museum, who has been excavating Paleolithic sites in the region since 1985. (The Paleolithic period was approximately 2.5 million to 12,000 years ago.) He says ancient fishers from about 29,000 years ago would have used the sinkers—rounded rocks with a central groove—to hold ropes or nets underwater to trap fish. Using nets would have allowed ancient fishers to catch more fish than would have been possible using earlier fishing technologies, such as carved bone fishing hooks or stone-tipped spears. Based on preliminary radiocarbon dating of the soil in which they were found, the weights—as well as additional stone tools and fish bones found alongside them—fit soundly in the Paleolithic, 19,000 years earlier than all other stone sinkers previously discovered. Spears and hooks are the oldest-known fishing technologies, and they appeared in ancient fishermen’s toolkits long before nets and stone sinkers. Fishing hooks in East Timor date from roughly 40,000 years ago, for instance, while hooks dating from about 30,000 years ago were found in Okinawa, Japan. Early humans also used barbed hooks to adapt spears for use in aquatic environments. Fishing nets came later, arising from the development of knitting and threading techniques, increasing the number of fish in each capture. These supposed stone sinkers would have held fishing nets below water some 29,000 years ago. Photo courtesy of Han et al. Although anthropologists consider net fishing an early technology, little evidence remains since nets were made from decomposable organic material. The earliest-known nets were discovered in Finland and date to around 8,000 to 5,000 years ago. Even though most nets are gone, archaeologists can infer their existence through the discovery of stone sinkers. So far, stone sinkers have been discovered in Neolithic marine settlements around the world—in the Red Sea, the eastern Mediterranean, Europe, and in northeast Asia, including China, South Korea, and Japan. Other experts, however, are skeptical of the claims of the Korean sinkers’ Paleolithic provenance. Yi Seon-Bok, an archaeologist at Seoul National University who was not involved in the excavation, agrees that the record-breaking age assessed for the sinkers is likely unsupported. Archaeologists already have difficulty distinguishing stone sinkers from natural geological formations, Yi says, and suggests the sinkers look more like weathered rock than manufactured tools. Back at his laboratory in Seoul, Han says he will continue to analyze the samples from the excavation. In the subsequent months, his team will conduct carbon and pollen analyses to verify the age of the materials. He is hopeful that the next few months will dispel any doubts. 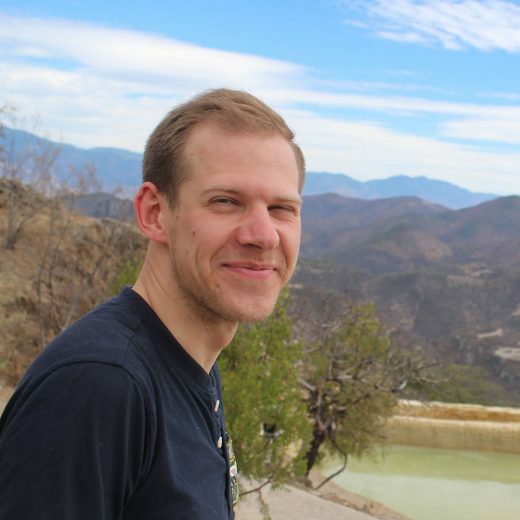 Christopher DeCou is a historian and writer based in Tel Aviv, Israel. Cite this Article: Christopher DeCou “Possible Evidence of World’s Oldest Fishing Nets Unearthed in Korea,” Hakai Magazine, Oct 1, 2018, accessed April 23rd, 2019, https://www.hakaimagazine.com/news/possible-evidence-of-worlds-oldest-fishing-nets-unearthed-in-korea/. An ax and some sparkly paint could change the ancient human travelogue.